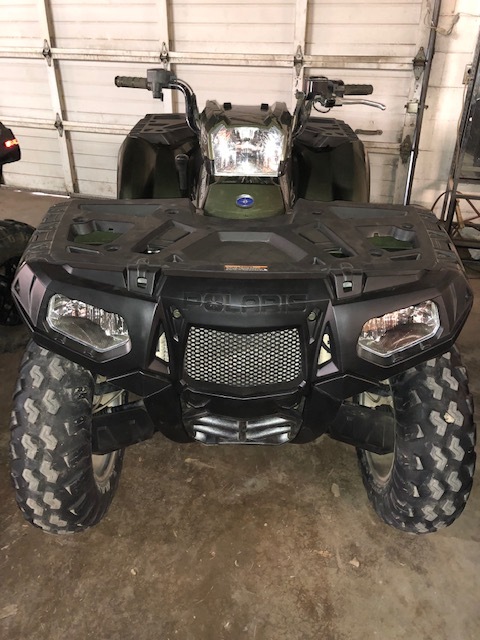 USED 2009 Polaris Sportsman XP 550 EFI 4X4 Painted green with 7185 miles of usage. 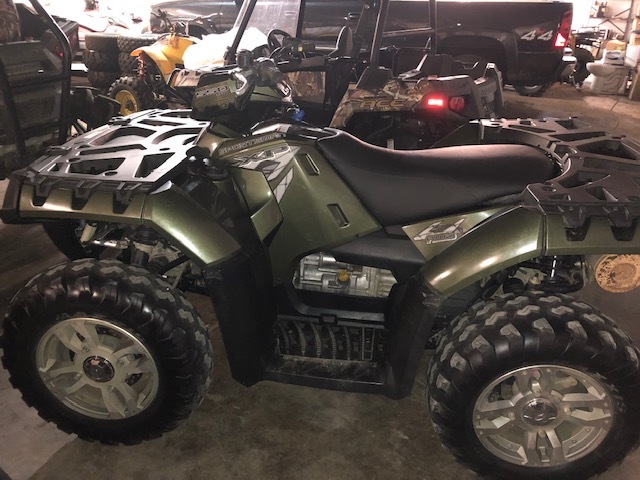 This ATV has been serviced and checked over by our technicians. All used vehicles are sold as is no warranty. In house financing is not available on used machines. $4000 plus tax and title fee. Can be seen at the Fort Worth location. 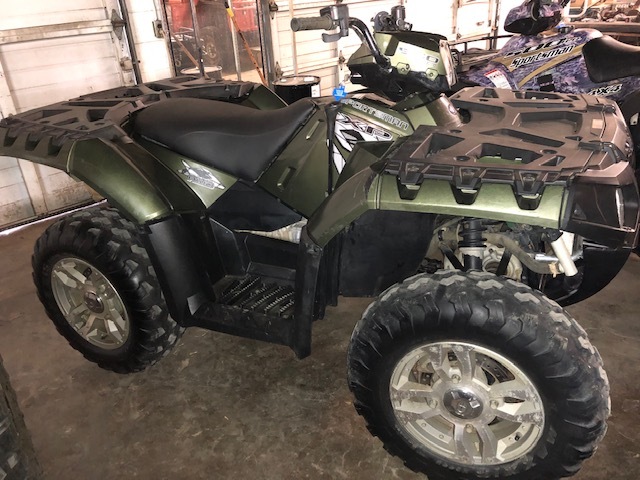 Most Xtreme Performing ATV. It's 99% new and 100% Sportsman. 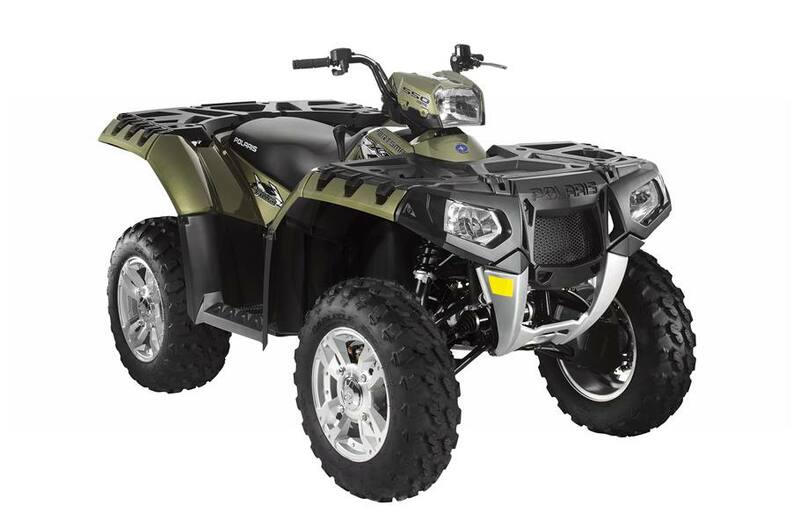 Featuring class-leading power, quicker accelleration, easier steering and the smoothest rider in Sportsman® history. New Ergonomics: Longitudinally mounted engine allows XP to be narrower at the knee and ankles, for a more nimble feel. Floorboards are 33% wider for extra comfort. Rolled IRS: New rolled IRS features shock with a 4° tipback, and long travel (10.25 in. (26 cm)) for the smoothest Sportsman ride ever. On-Demand AWDS: Automatically engages when the rider needs more forward traction, delivering full torque to all four wheels. Reverts to 2WD when AWD is no longer needed. New Digital Instrumentation: Digital speedometer, tachometer, odometer, two trip meters, hour meter, fuel gauge, clock and service indicators. New Roller Clutch: New roller-driven clutch reduces friction and provides smoother, faster clutch respons and back shifting. Higher "Low" gear, with speeds up to 39 mph in low range. Dual A-Arm suspension: New front suspension has longer control arms, class-leading travel (9 in. (22.9 cm)) and geometry that creates anti-kickback steering. 20% larger Radiator: Larger radiator enhances performance, is almost 5 in. higher to keep it out of the mud, and angled 5° steeper for easy cleaning. Active Descent Control: Provides 4-wheel braking when vehicle is in AWD, works together with Sportsman's Engine Braking System (EBS) to give you optimum control when moving down hills. 550 EFI Engine: Most powerful 500-class engine in Sportsman history. 550 cc Single, rubber-mounted for low vibration and consistent performance in varying altitudes and temperatures.